I am back! I was off for a couple of weeks, as you might have noticed, but now I am here again, ready to be more present on both of my blogs. I’ve been away from home during these weeks and I had carried with me just a few ”basic” products: my skincare products, mascara, foundation, blush,lip balm/gloss and my Travalo. Most of you already know what Travalo is and you have probably read a ton of reviews. But I couldn’t resist not to share mine, as well. Travalo is a refillable atomizer bottle that makes it easier to have your favorite fragrance with you anytime and anywhere. It is easy and fast to refill it: just remove the nozzle from your fragrance’s bottle, pump your Travalo up and down and you are ready! Only 8.6cm big and weights 20gr, with a capacity of 5ml(nearly 65 sprays), Travalo can be taken in hand on board planes anywhere in the world! I love the design: made of the same aluminium as high tech aircrafts, light, small, strong and with a level indicator window that allows us to know how much fragrance we have and never run out. It is available in many different colors and you can get it- if you want- with a plastic protective carry case (I did!). Do I like it? Oh yes!!! You can easily tell that this isn’t a must have product, but I find it ideal for people who travel a lot or spend many hours away from home. Ok, you can live without it, but if you like gadgets and beauty, you have to get it! You can read more info and buy your Travalo at the official site http://www.travalo.com/it/index.html (shipping was veeeery fast). Do you own a Travalo? What do you think about it? Do you like beauty gadgets like this one? Aww, my Travalo is my baby! LOL! I love this gadget, I have it in my everyday bag and I use it a lot. Great review hun! I have two travalos and they are both fantastic !!! 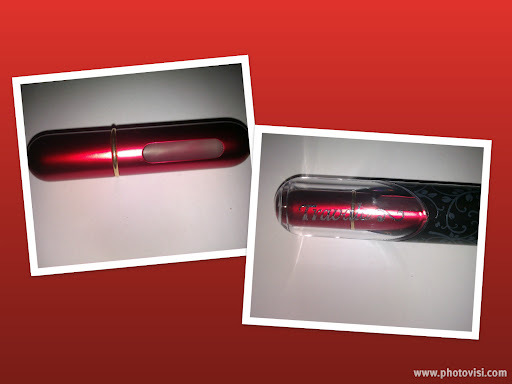 i take mine everywhere with me , one of the best beauty gadgets !! The French manicure Tip Dip! I want to try it sooo bad!! !